I’ve been whizzing around France on TGV and other trains as cheaply as possible for over a decade. Riding the French rails is nearly always a joy, and if you know when to book and how to work the discount cards, sales, and special offers, you can bop around the French train system without shedding too many euros. Here then is our full guide on when, where and how to buy tickets. 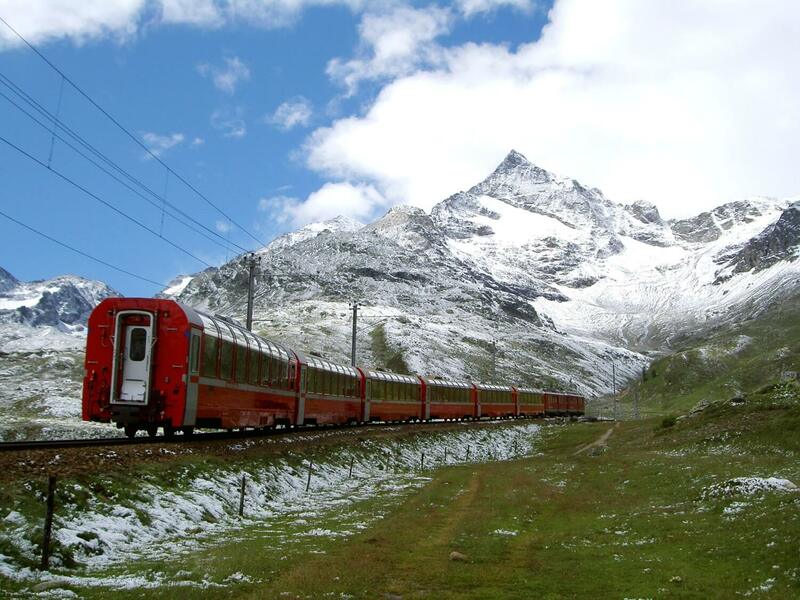 We cover the best and the weirdest deals from the SNCF (France’s national train company) and take cues from our extensive research into the best booking websites for European trains. We’ve also included some wisdom here from a French ticket inspector who has offered us his insider tips (but no, sweet as he is, he couldn’t share his employee discount with you all). 1. Be flexible on dates: Use the “flexible dates” feature at OUI.sncf to determine which date is cheapest to travel on. (Do not let the site redirect you to the more expensive Rail Europe.) Buying about three months in advance can help. Details below. 2. While the sites above can be useful for planning, for actually booking your tickets you can avoid SNCF website problems and sometimes save money by booking with Trainline instead of booking directly. Trainline offers both regular and Ouigo tickets at exactly the same price as the SNCF, and if you’re changing trains its smarter routing engine often delivers even cheaper options. It also shows bus and bus+train routes, which can be big money savers. (We also like Loco2 for booking but it doesn’t offer Ouigo tickets. Above all, avoid “international” versions of the SNCF sites like Rail Europe as well as other private sellers who add on fees — sometimes hefty ones.) Details below. 3. 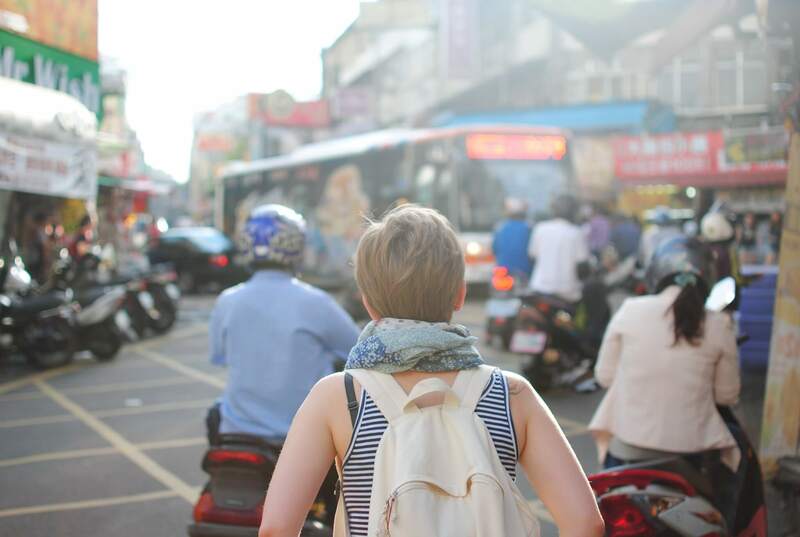 Be flexible on locations with Ouigo: If you choose to travel to the cities on the Ouigo (low-cost) network (pictured at right) you can save a lot. Details below. 4. Other specific special budget train routes: For Paris to Brussels, consider the low-cost, high-speed Izy by Thalys. Details below. 5. Age-related (senior, youth) discounts are available with the purchase of a discount card and this may be worth it if you travel often in France over the course of the year (they rarely are worth it otherwise). Trainline directs you to those where relevant. The latest English information on SNCF sites about these cards was incorrect so check below for our own translation from the French version. 6. Other schemes for discounted tickets: Register to babysit others’ kids on train routes, buy others’ unused tickets from resale sites, and more. Details below. This article was first published on September 27, 2018. It includes information translated from our French article and new content. SNCF practices yield management, meaning that prices go up and down according to demand for specific days and routes. For them, it means trying to maximize revenue by keeping trains full. An investigation by the French newspaper Figaro found that there are about 90 “yielders” in SNCF offices working to maximize profit through dynamic pricing. For example, they attempt to ensure the availability of expensive tickets for last-minute business travellers at key morning and afternoon times, while keeping rates low on trains that are not proving profitable, in an effort to fill them. The thing to know for us is that if we’re flexible and know how to search, we can get great deals on certain routes, times, or days. Choose “Europe (other countries)” in this menu to get English without being redirected to a more expensive site. 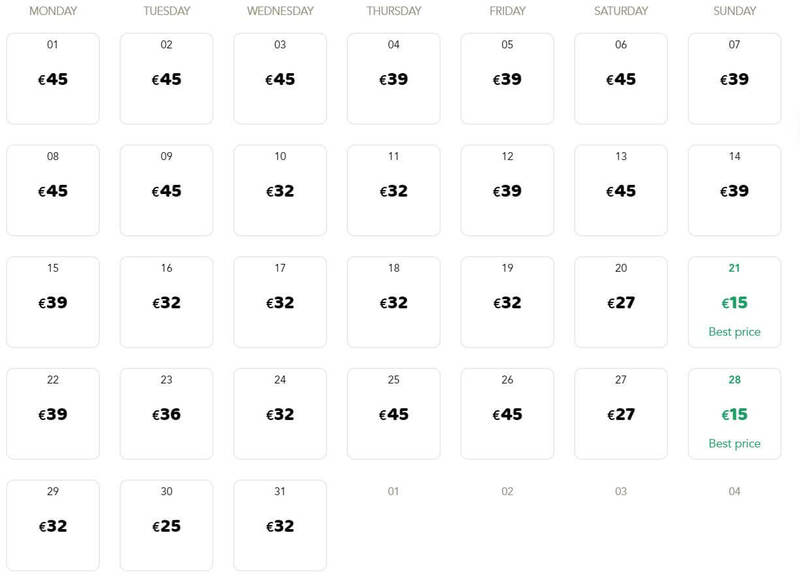 Then when you run your search choose the 30-day price calendar (pictured below from the French version). The results show you the cheapest fares on each day for your route. A search for trips from Paris to Lyon includes some very cheap Ouigo options on certain days — a simple trip to the Paris airport can cost more! As we’ve noted, OUI.sncf can reject foreign credit cards, so if you have issues actually booking there, head over to Trainline. The main, official site for French train tickets, OUI.sncf, can be a starting point for research as noted above. But there are two other platforms that also offer the same French train tickets at the same prices: Trainline and Loco2. Both of them tend to offer much better fares on international trips that involve switching trains. We prefer Trainline because it offers Ouigo fares (next section) and Loco2 doesn’t, plus Trainline came out a bit ahead of Loco2 in our pan-European train platform comparison. Both private platforms are easy to use. Don’t you wish your train could have the same cramped seating and nickel-and-diming for extras as a low-cost airline? The SNCF supposes you do. It’s nowhere near as bad as a budget airline actually, though they do make the experience a bit more trying than a standard train ride. Its popularity has exploded recently — reports say ticket sales have doubled. Much cheaper: Tickets start at €10 and tend to be very reasonable compared to standard trains. Fast: All Ouigo trains are fast trains (TGV), so travel times are short. Kid fares: All children 0-11 years old get their own seats for just €5 (or €8 if starting/ending in the center of Paris). Each child ticket also includes its own luggage, with the same size restrictions as adult fares. Anti-kid option: Want to be seated far from those 0-11-year-olds? Choose the place tranquile for a small extra fee (electric socket is included). Smaller, less-comfortable seats: They are four to a row with less leg room and there’s less vertical room too since you’re in a double-decker train car. Uses secondary train stations (sometimes): Some train stations used are outside of city centers and for those there is additional cost and time needed to then get to the city center. Before booking, check where the station is and check Google Maps for the additional time and cost to then take public transport to your final destination. Large luggage costs extra: You’re allowed to take two small carry-ons (see below for details), and pay €5 extra for large luggage. Use of an electric socket costs extra: €2 to plug in, and you need to reserve this ahead of time. Arrive ahead of time: Ouigo insists that you must arrive at least 30 minutes before your train. With that extra margin, the staff checks tickets and herds everyone onto a large platform in order to leave the train idling in the station with passengers actually boarding for a minimum of time. Ouigo tickets are only available for purchase online. The Ouigo website is in French only and also tends to reject many foreigners’ credit cards, so that website is mainly useful for getting idea of the Ouigo routes that are available and their times and dates. Install the Google Translate extension in your browser if necessary. Once you know exactly which train you want, it’s much better to book Ouigo tickets either with OUI.sncf or (easiest) Trainline. Ouigo tickets come up automatically in the main search pages so you can also just start there. One piece of hand luggage measuring maximum 36 x 27 x 15 cm (22 x 14 x 10 in) and one carry-on piece measuring maximum 55 x 35 x 25 cm (22 x 14 x 10 in).1Yes, we know; the SNCF defies logic by listing these as two different options. If travelling with a child, you may also take a stroller; it must be declared when making the reservation, and must be folded in the train. Larger luggage pieces (maximum 2 meters (7 feet) and less than 30 kg (66 lbs)) can be booked for €5 each, and each person can take up to two such larger pieces. Overall, we think the Ouigo trains are well worth it. We recommend travelling light anyway (e.g. with our favorite wheeled carry-on backpack), and the overall Ouigo experience is fast and not uncomfortable. The SNCF seems to constantly be introducing new styles of travel (or marketing gimmicks?) to get more people on the rails. Often these can mean very reduced rates for certain types of flexible travel, especially on weekends. If you don’t mind travelling in much slower and older-but-refurbished trains, these tickets can be quite a deal (generally €15 for second class and €22 for first). There is not much in the way of service and generally no dining or bar car, but you can pre-order a meal that will be delivered to your seat (except for on the Paris-Strasbourg train). Mainly the trains run on Fridays and weekends. You can check the destinations offered for Intercités here (in French only; scroll down to “Destinations Intercités”) and these options are included when you perform a search on OUI.sncf or Trainline. Basically these are discounted long-distance (not fast train) trips that have not sold well and are being offered at the last minute (five days before departure). You can review the options here in French only and they will also show up in your searches on OUI.sncf or Trainline. If you don’t mind getting online and “voting” for your hoped-for route, and then not having it confirmed until four days before the departure, you can get €20 to €50 tickets on special trains with this SNCF offer. Then, three days before the departure, you receive a code allowing you to actually purchase the ticket if you wish. The voting happens on the #TGVpop site (French only) and the SNCF desperately hopes you will “share” this with your friends so that they will vote too and give the SNCF some social media buzz. It’s all frankly a bit embarrassing, like grandma trying to adopt the latest slang. The budget train option linking these two cities goes for just €10. So for less than the price of a Parisian cocktail, you can hop on and head over to Brussels for more reasonably priced Belgian beer. The €10 price doesn’t guarantee you a seat; for that you pay an extra €5 for a folding seat to ensure that you’re not left standing if the train is full. For €19 you move up to a standard seat, and for €29 you get a standard XL seat, with more leg room, a table, reclining backrest, and headrest. The tickets are available at Izy’s website. The SNCF sells frequent-traveller discount cards that generally offer 25% off on long-distance trains, both fast (“TGV”) and regular (“Intercités”), as well as the TER (regional) trains. Prem’s (on-sale tickets) are generally %10 off. These cards are also not valid on the budget trains like Ouigo, nor on trips wholly within the Île de France (Paris region). The cards range in cost generally from €50 to €80 and are valid for one year. Because of their cost and all those restrictions, we think that these cards are only really worth it if you are sure to take lots of trips on applicable routes over the course of a year. 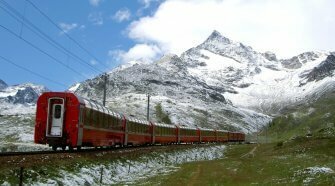 Otherwise, you should focus on reducing your train travel costs through the other strategies in this article. The following specifics were translated from the French version of the SNCF’s discount cards site2Last update: Sept. 27, 2018 as the English version was outdated and self-contradictory. Below we also link to the French version of the relevant details on these cards and urge you not to take any English versions of those pages seriously as they appear to be inaccurate. Carte Enfante+: The “child card” is for those 12 and under. It costs 75€ for a year and offers 25% off on TGV, InterCités, and TER trains for the adults travelling with the child (up to four of them). Prem’s are 10% off, and some trips to international destinations are discounted 25%. Note that regardless of whether you buy this card, all children ages 4-12 already get a 50% reduction (based on the “tarif loisir”) for any train ticket, and that those under four years old travel for free (but without an assigned seat). Carte Jeune: The “youth card” is for those ages 12-27 (valid up to the day you turn 28). It costs €50 for a year and it offers 30% off of TGV, Intercités, and TER trains, and 50% off of certain TER trains in parts of the off season. You get 10% off of the Prem’s (or special sale) tickets, and 25% off of certain international routes. There are also discounts on exchange and refund fees. Carte Senior+: The “senior card” is for those aged 60 and up. It costs €60 for a year and offers 25% off of second class in TGV, Intercités, and TER, and “up to” 40% off in first class. In the off season, some TER trains are sometimes discounted 50%. There is a 10% discount on the on-sale Prem’s tickets, and 25% off of tickets to some international destinations. 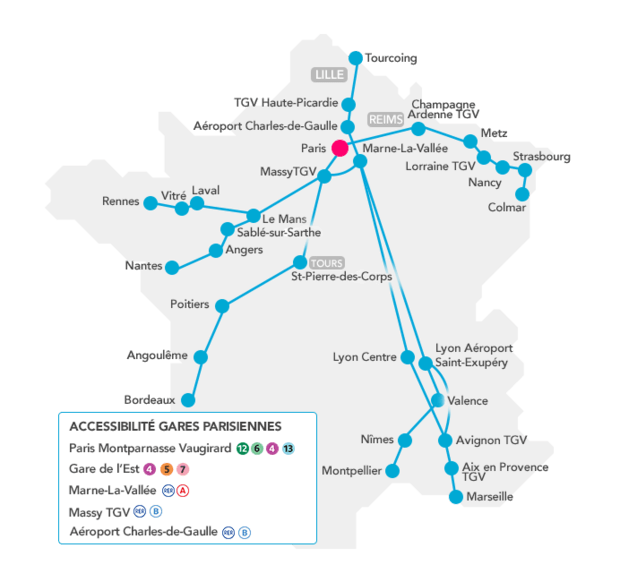 Carte Week-End: The “weekend card” is designed for those not eligible for the other cards (that is, aged 28 to 59) who are taking a lot of weekend trips (read: the SNCF doesn’t want to give this to business travellers). It costs €75 for one year. A 25% discount is applicable on TGV and Intercités trips of longer than 200 km, as long as you book a return trip and as long as you spend either a Friday, Saturday, or Sunday night at your destination. Regional TER train discounts of 25% are applied if they are part of this longer-distance trip. On-sale Prem’s tickets are only 10% off and some international routes offer 25% off, with the same rules. Purchasing any of these cards will also get you on a mailing list with “exclusive offers” of whatever latest trips the SNCF needs to dump — sometimes there are good deals for those who are flexible, and willing to wander anywhere in the magnificent hexagon. The following strategies involve a certain amount of inconvenience, and in some cases, French. But if you’re willing to try them, you can save a few Euros on your trip. 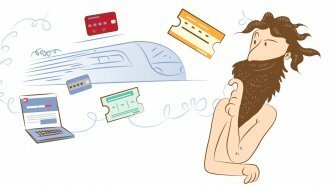 Ticket resale sites: The sites d’échange offer tickets that others have bought that are non-refundable for trips that they can no longer take, and are thus up for sale. There are two: Zepass and Trocdestrain. Both rate their users based on the success of past sales. Our site’s resident ticket inspector-turned-writer warns you to pay attention to the fact that contrôleurs like himself can and do ask to see your discount card and ID for tickets that require these, so pay attention to whether the ticket you’re purchasing is strictly nominatif (for a specific person) and for a specific discount card. Babysitting on the train: If you like kids, speak French, and travel a lot in France, it can be worth it to go through the cost and time to sign up as a babysitter on KidyGo. 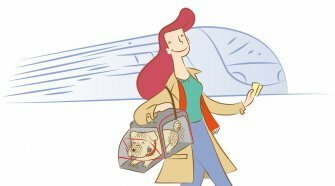 Your rides are heavily subsidized or free if you accompany someone’s kids; this is paid for and arranged by their parents (it’s not a service of the SNCF). Delayed train refunds: If your train is delayed by more than 30 minutes, you are in theory eligible for at least a partial refund (which may come in the form of discount vouchers for other trips, which I’ve found complicated to spend). The process must be done in French and involves filling out a form and mailing it in; before attempting this, weigh your lust for vengeance and the possible financial reward against the futility of trying to interact with the SNCF. The mail-in request information is here in English and here there is an online version you can attempt to fill out here in French. Interrail and Eurail passes: If you are travelling around Europe, these passes allow you to take certain trains over an extended period. They generally only work out in your advantage if you’re on a whirlwind tour (which we don’t think is the best way to see France or Europe). If you’re a European resident, the Interrail pass is for you; non-Europeans should get the Eurail pass. Make friends with your ticket inspector: If you’re friendly, they will likely be so as well. In rare cases they give out freebies, especially to help smooth over troubles with delays and the like. And if you’re at risk of missing a connection or need to extend your trip further than originally planned, they may be able to help. The SNCF hardly makes things simple and sure, there are problems such as strikes from time to time. But in general, train travel in France is a lovely and gorgeous experience, and well worth the price. We hope that these strategies will help you make it even more accessible. Bon voyage! 1. ⇧ Yes, we know; the SNCF defies logic by listing these as two different options.